Situated in a tightly held East Bulli enclave, everything you love about Bulli is yours to enjoy at your doorstep! Neatly presented, this weatherboard cottage provides a rare opportunity to enter the competitive Bulli market and boasts room to add value appealing to investors and first home buyers alike. Nestled in a peaceful pocket, this immaculate cottage is surrounded by other high-quality homes in a leafy street. 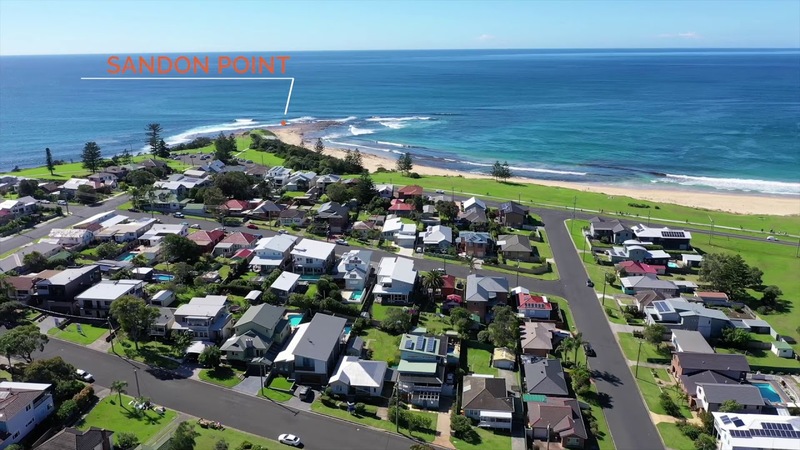 A casual stroll down the road will take you to the sparkling sands and waters of world-class Bulli Beach and Sandon Point offering fabulous swimming and surfing conditions. For those who love a morning run or bike ride, the cycleway is easily accessible allowing you to explore the coastline in the fresh air and sunshine. A family-friendly suburb, highly regarded schools are nearby including St Joseph's School, Waniora Public School and Bulli High School. Surrounding the home are plentiful parks and sporting fields providing ample room for the kids to kick the footy after school, whilst the local coffee shop "Point Café" is a short walk up the street making it even easier for you to grab a morning coffee on your way into work. The area is serviced by bus and train links taking you into Wollongong and Sydney CBD. Only an hour and a half from Sydney, this home would make an ideal weekender, investment or everyday beach home. Neat and tidy gardens welcome you to this traditional weatherboard cottage where a charming front porch makes a homely first impression. Painted in a neutral coastal palette, the spacious open plan interiors of this character filled home showcase stunning period elements including striking timber flooring, soaring high ceilings and timber sash windows. Flooded in abundant natural light, the huge dining and lounge room offer a leafy outlook of the backyard. The fully equipped kitchen is also practically positioned with a backyard view allowing you to keep an eye on the kids while you cook dinner and features generous cupboard and bench space. Boasting 3 well-appointed bedrooms, the master includes a walk-in robe, while the 3rd bedroom leads to a study. Servicing the bedrooms, you'll find the original bathroom, spacious in size with a bath, shower, toilet and dressing area. Outside, a tranquil garden paradise awaits. Perched on an approx. 632m2 block, the fully fenced yard is surrounded by easy care established gardens with loads of room for the pets and kids to play. With the property positioned towards the front of this level block, there is ample room to extend the home towards the rear. Consider adding in a pool or opening the living areas onto a deck for an endless summer of backyard barbeques and entertaining in the cooling coastal breezes! The home also features an external laundry and shower with an adjoining storage room and powder room – perfect for showering off after your morning swim! Occupying a blue ribbon address in a prestigious East Bulli locale, here lies your chance to turn this original home into a modern day masterpiece. Comfortable to move in as is, the home is a flexible and versatile residence with room to extend or renovate into your dream beach home. Investors, renovators and first home buyers will appreciate this affordable offering to the exclusive East Bulli market where the options are endless. Rent out? Renovate? Live the beach life? Whatever you choose to do with the home, this one will not last long as homes of this calibre are hard to find. Don't miss out, call now to arrange an inspection today.